This is a difficult and time-consuming approach but is ultimately the most respectful and equitable way to work with communities. We also believe that Community Based Participatory Research (CBPR) can yield the greatest long-term benefits for both people and environment. Picture a team of foreign academics arriving on your street, setting up camp in a field or an empty house, and announcing their intentions (through an interpreter) to study your waste disposal habits in order to help you recycle and reduce your environmental impact. The important concepts underpinning this approach are “equity”, “partnership”, and “collaboration”. It is research that attempts to answer a question that is important to the community, with a methodology that is designed by both the community and experts, and that is conducted in collaboration with community members. Presently we are developing CBPR projects into sustainable river fisheries management, and soil-enriching alternatives to swidden agriculture. 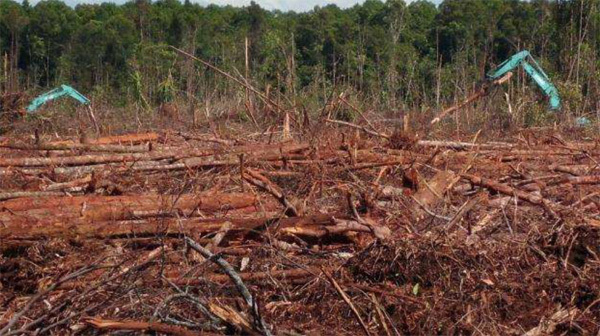 Less than three weeks after APRIL unveiled a sustainability policy that is supposed to protect natural forests, an environmental group is alleging that one of the Indonesian forestry giant’s subsidiaries is already breaching the commitment. But APRIL refuted the claim and says it continues to stand by the policy.